My dad tells me that the day after the fire he and a friend went to retrieve the friend's car, which had been left parked across the way from the slip. As they approached, walking up to the back of the car, the friend was delighted to see that it was intact - until he got closer and saw that the heat had been so intense the entire front end had melted. The firm I work for recently resurfaced part of the helipad/car park which stands on the site of No 2 slip. When we broke up and removed the top layer of concrete, we uncovered what was the floor of No2 slip when the fire occurred. It was still blackened. 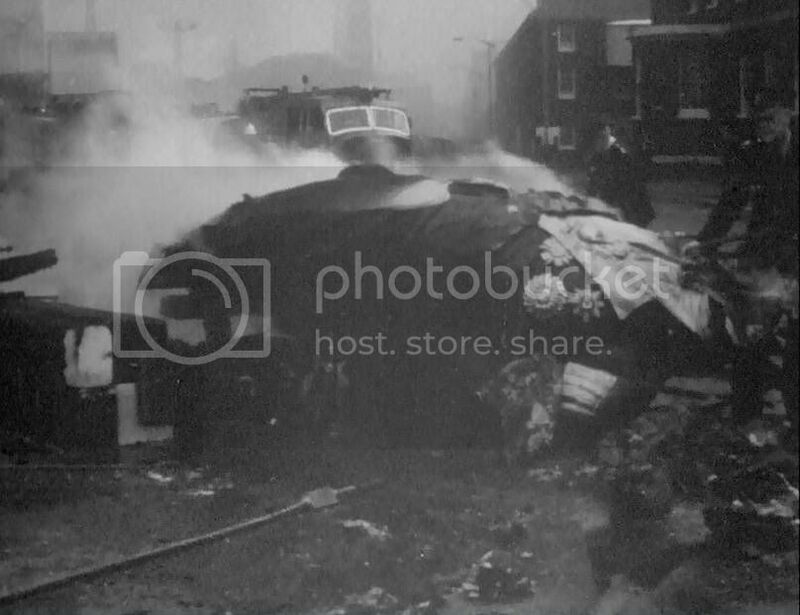 On the 12th July 1966 a fire broke out in covered slip No. 2, the slip had been covered in the 1770’s and covered in 1837. Inside were stored including a large number of historic figureheads and other stores. 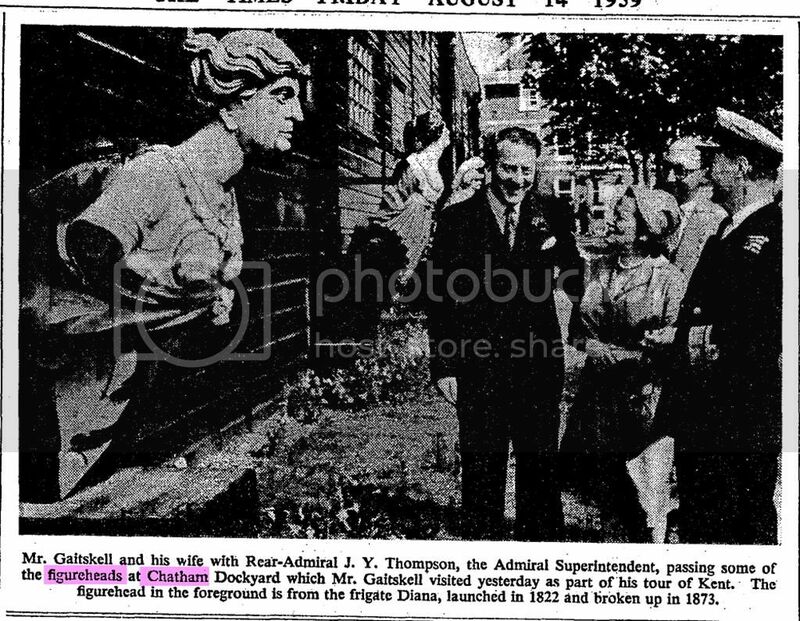 One of the most important figureheads destroyed that night was one depicting Lord Nelson which had come from the Vanguard. 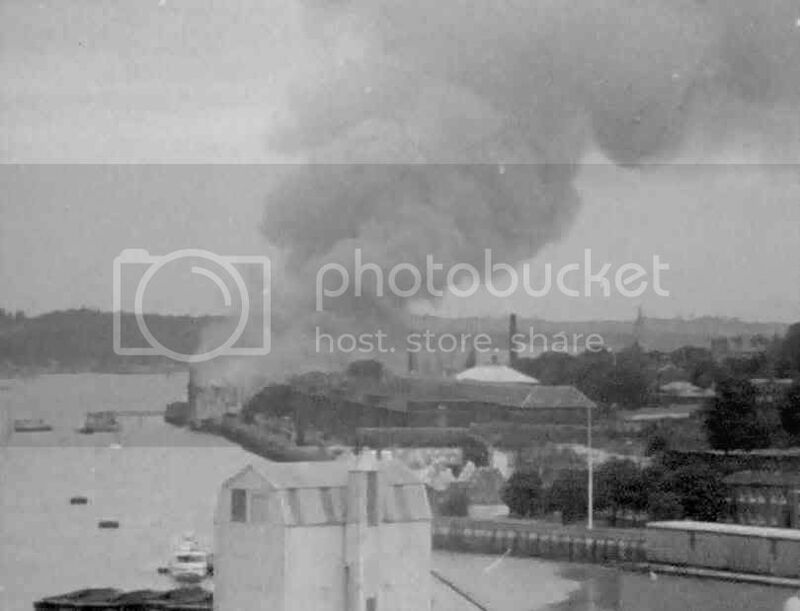 The fires cause was never fully known although it was believed to have been started by a dockyard worker, although whether it was intentional or not, nobody knows. § Mr. 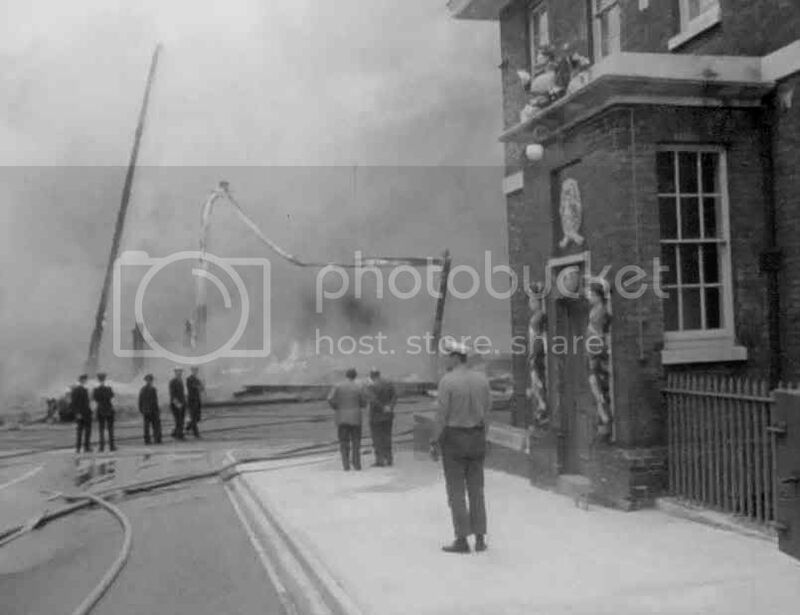 Burden (by Private Notice) asked the Secretary of State for Defence whether he will make a statement regarding the fire at Chatham Dockyard on 12th July. As hon. Members will have seen in the Press, a major fire broke out in Chatham Dock-yard yesterday morning. A covered slipway containing stores was completely destroyed. I am glad to say that there were no deaths or serious injuries, but 41 people received minor injuries in trying to put out the fire. This slipway was of considerable historic interest. A machine shop and 16 private cars were damaged. A Board of Inquiry is being convened. Is this not the slipway from which H.M.S. "Victory" was launched? Is it not regrettable that this historic link with the past has been broken? Is the Minister aware that the greatest benefit which can accrue to Chatham would be if this slipway were in some way modified or rebuilt to ensure that nuclear submarines are built there in future? The slipway from which the H.M.S. "Victory" was launched was close by, but I do not think that this is the one. 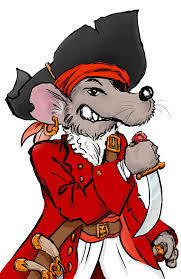 This is a very useful site and we shall make the best possible use of it. Would my hon. Friend convey both to the dockyard fire brigade and to the Kent County Council Fire Brigade our very great appreciation, particularly of hon. Members who are concerned in this constituency, of the very urgent action which they took? Could he give an assurance that the 1463 people who have lost motor cars—I believe that there are 16 of them—will be fully compensated? I shall be glad to convey the congratulations of the whole House on the great speed with which the fire brigade arrived, which was within two and a half minutes, and the help which the Kent County Fire Brigade gave. The question of compensation will have to await the findings of the court of inquiry. Will the Minister now review all buildings of this kind in dockyards and other places under his control which ate used for stores to ensure that as far as possible this kind of risk is avoided? 1 think that that is a very good idea. This building happened to be an ancient monument and it was protected in that way. asked the Secretary of State for Defence if he will now issue the report of the official inquiry into the fire which destroyed the No. 2 Slipway at Chatham Dockyard in July last. As the hon. 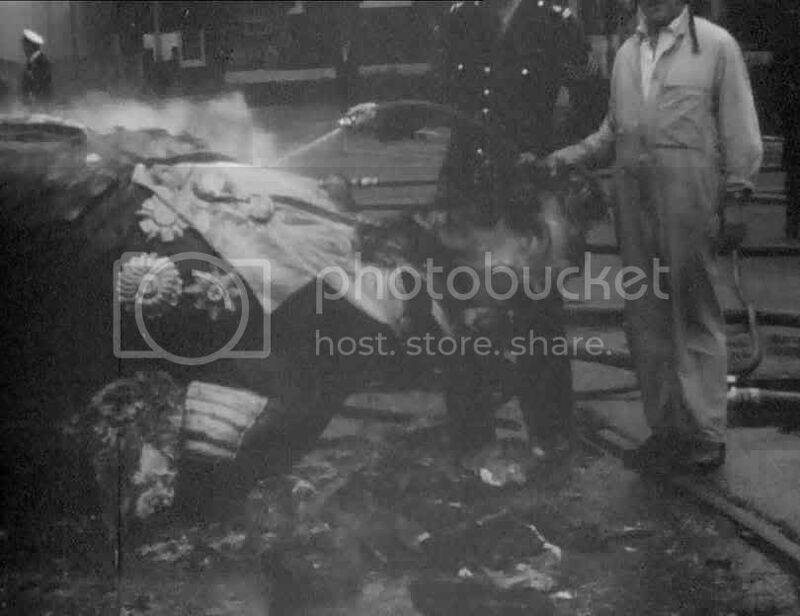 Member was informed on 21st July, it is not normal to publish reports of Service Boards of Inquiry, but I am now able to make a statement on the fire at Chatham Dockyard in No. 2 Slip. A large building erected in 1700, it was of unique wooden construction and of considerable historical interest. The building was used as a naval store for packed equipment, copper tubing, packaging material and some sailing gear. The Board of Inquiry concluded that the fire started as a result of the action of an employee who has since been discharged. It spread very rapidly, partly because of the explosion of wood and other dust which has accumulated in the wood members over centuries, and partly because the open-ended structure of the building formed a natural wind tunnel which drove the fire its whole length. As a result of the fire, the building and its 160W contents were completely destroyed. As previously stated, 41 people received minor injuries. The total loss is estimated at about £80,000. The Board of Inquiry made an exhaustive investigation into the adequacy of the fire precautions and prevention measures in the slip, and in the light of their recommendations we are undertaking a review of the fire precautions for all old buildings used as stores.